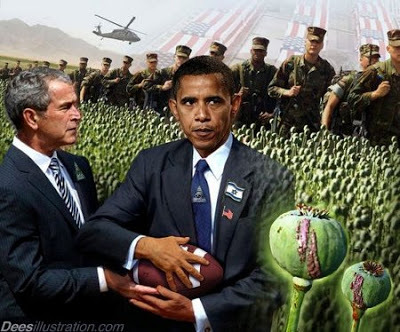 Whoever Obama passes the ball to will front for a US military protected heroin empire in Afghanistan. Time for a revolution – and a return to a benevolent military? An extract from the novel, “Return to a Benevolent Military,” is going viral at Veterans Today. In this interview we discuss the book and article, as well as the current presidential campaign and other issues…including the possibilities for a mass awakening that could make Col. Crystal’s dream a reality. James Hufferd holds a Ph.D. from the University of Minnesota, has published many works of both fiction and nonfiction, and coordinates 911Grassroots.org. This show was broadcast on October 24, 2016. This entry was posted on Friday, October 21st, 2016 at 10:42 am	and is filed under 9/11, Anti-War, Censorship-Propaganda, Education, Freedom, Geopolitics, Justice, Kevin Barrett, Law, News, Politics, Protest, War Crimes. You can follow any responses to this entry through the RSS 2.0 feed.